I know I am a crappy blogger. I want to give you some good reason as to why I have been so flaky as a blogger but truth is I don't have one. 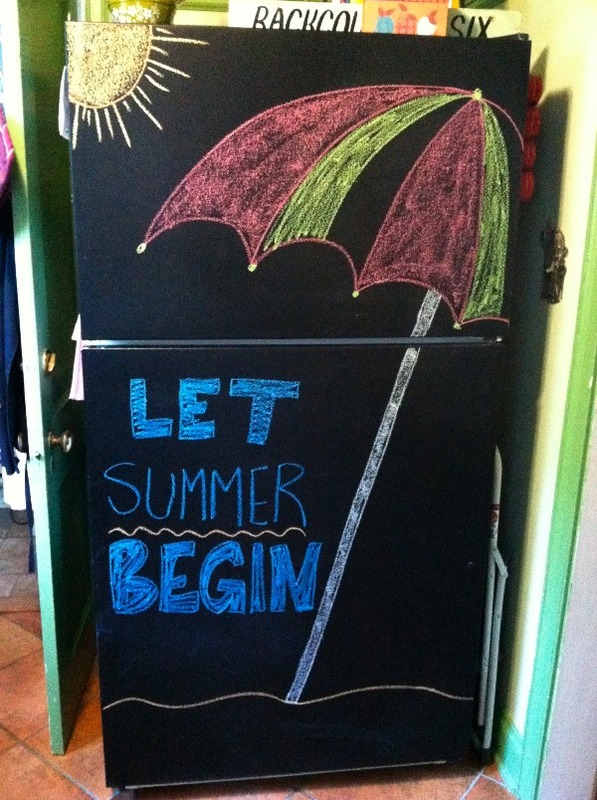 So no excuses, but here is a my most recent doodle on our chalkboard fridge. Since memorial day was Monday and that is the unofficial start of summer. Our fridge got pretty excited! Hope you had a lovely holiday last weekend and have some rad plans for this weekend.